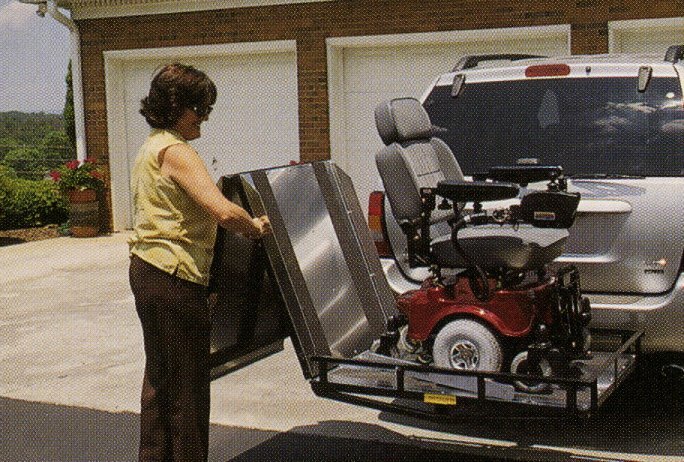 The XL Carrier model 44 & 48 - This innovative new lift allows for your total mobility in transporting almost any scooter or power chair. The simple yet unique design requires no batteries, motors or actuators. 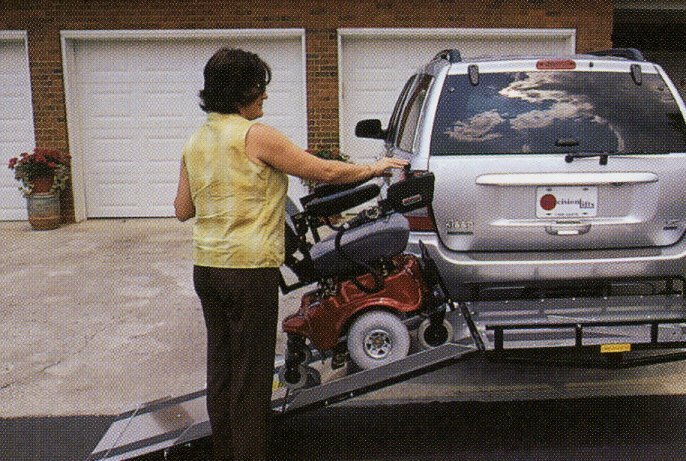 Simply unfold the ramp, load your scooter or power chair, fold the ramp back up, attach the safety harness and you are on your way in a flash! 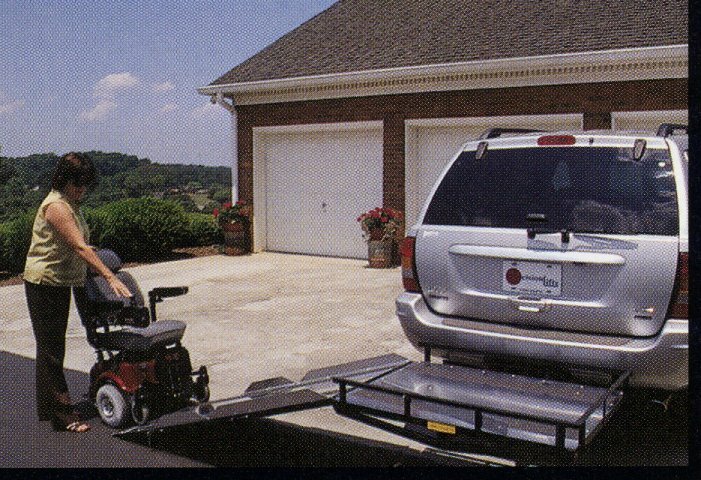 This lift will work with a class two or class three hitch and can be easily installed by your local trailer hitch installer. 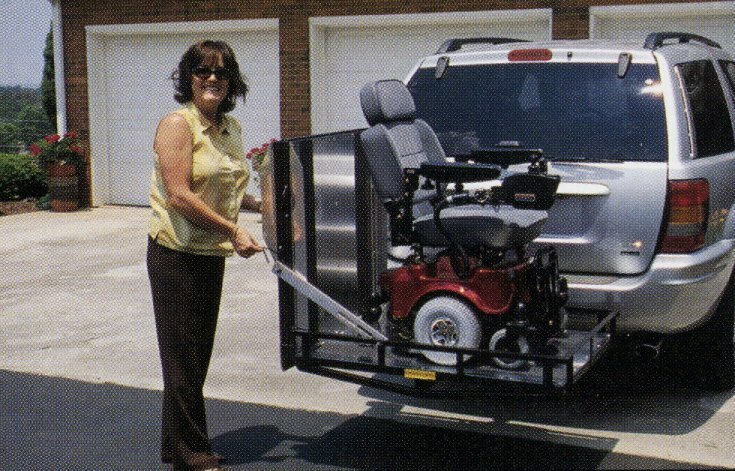 The lift comes complete with everything you need for installation and operation, and carries a full one-year warranty. 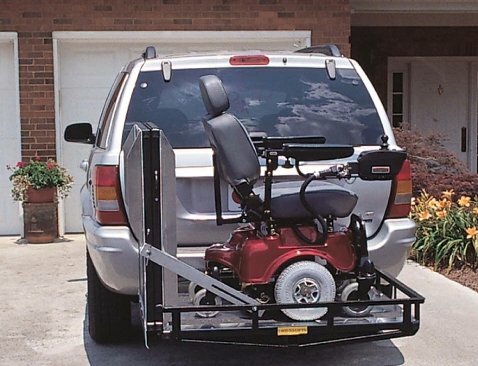 This lift is available in a variety of configurations to insure that it will work with most any scooter or power wheelchair and almost any car, truck, van, or SUV. Step 1 : Release and extend ramp. Step 2 : Guide scooter onto lift. Step 3 : Fold ramp and secure safety straps to hold scooter down. 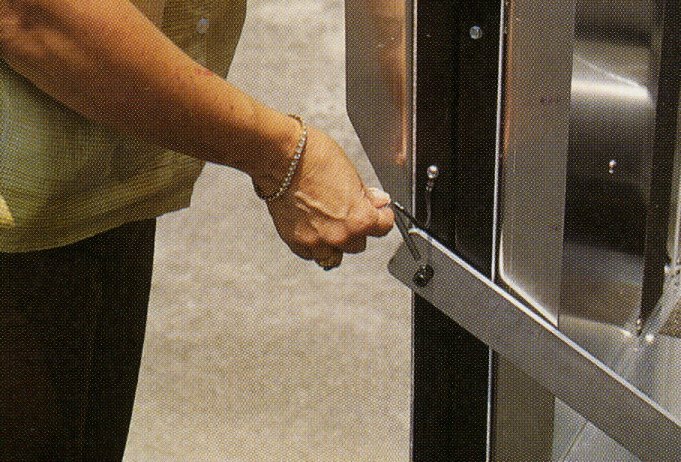 Step 4 : Secure ramp with locking pin. Step 5 : Ready to go!